The Omnibus Treasury Sneak Peek! We are just two days away from our newest exhibition and opening reception, The Omnibus Treasury! The one-of-a kind exhibition transforms the gallery into an artist boutique and treasure chest, filled with handmade and illustrated jewelry collections by artists from around the world! Join us for the opening reception this Friday, May 30th from 7-10pm, as we admire, covet, and celebrate these new works! Each artist has made a collection inspired by topics, such as gardening and terrariums, København culture, underwater creatures, summer refreshments, and more. You can find all of the information about the opening reception and exhibiting artists on the facebook event page here. 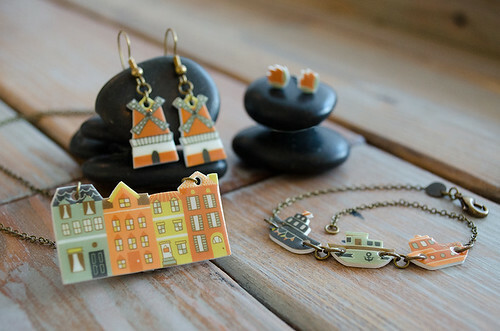 Here is a sneak peek at some of the fantastic pieces and designs we have in store! All of the pieces are customizable, handmade, and will be available on the Light Grey Shop starting this Friday. If you are unable to attend the events in person, we will have everything available and archived online. Keep an eye out for more details and event news! You can stop by to see the exhibition and support the project throughout the month of June! On June 7th and 8th, Light Grey is participating in the Annual Whittier Neighborhood Art Crawl, with dozens of participating artists, exhibitors, painters, screen printers, stationary companies and more! Come celebrate all of the wonderful things being made in the area! 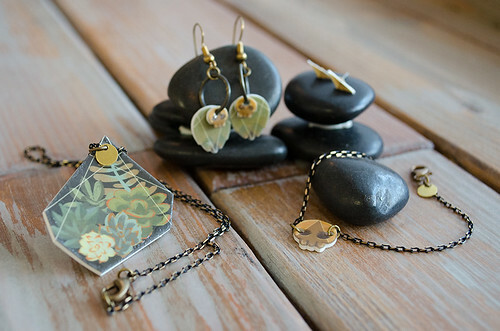 You can also sign up for our Cosmic Jewelry Making Workshop, taught by Lindsay Nohl. Click here to find out more information and sign up for this celestial jewelry design class!